Mobile operator O2 has deployed software to automate business processes, which will reduce the cost of back office operations and cut its reliance on offshore recruitment to cope with spikes in workload. The software also enables the telco to make changes to business processes, thus freeing up the IT department to focus on major IT projects. 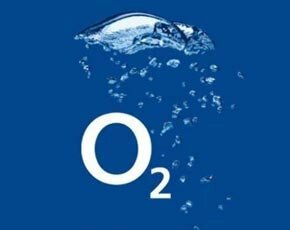 O2 expects to save millions of pounds and get a return on investment in the first year, with year two and three delivering pure savings. O2, the UK operation of Telefónica, processes about one million transactions every month. To ease the expense of the workload, it has about 400 people offshore in lower-cost locations. Wayne Butterfield, head of back office operations at O2, said that although the cost of offshore resources to carry out processes is only a quarter of the onshore equivalent, “it is still a fairly large cost”. Butterfield said O2’s back office has about 400 individual mini processes. These are small programmes to work around bigger processes to support new service offerings. Others are more general processes that are linked together to support a business need. Many of these are created because there is not an existing IT system in place. Each mini-process is a point of failure. O2 has been running a process improvement programme for the past five years. The company faced choices. It could have implemented a policy to create unsupported macros for business applications such as Microsoft Exchange to cater for change; it could have put in business cases whenever a fix was required; or it could have continued to expand back office or automate processes. Instead, it bought a licence to run 10 processes using business process automation software from Blue Prism. Butterfield said the company looked at three suppliers to support its business process automation goals. Part of the business case for buying the Blue Prism licences came when Apple decided to change the size of the SIMs in the latest iPhone. With less than six weeks' warning, 02 had to have a business process in place to deal with changing customer SIMs. Butterfield said that before the automation software was acquired, there would have been a three-month spike in demand for 60 full-time staff in India to cope with this. Survey the organisation to assess the number of desktop artifacts used to coordinate work. These represent the biggest source of these improvement opportunities. Assess the methods and technology required for business self-service. Seek to empower business users to help themselves by building a culture of IT and business collaboration. IT will continue to provide governance, reliability and availability of services, while the business side concentrates on the market and their needs. First consider the presentation layer as the integration mechanism of choice. With the primary goal of enabling maximum business configurability with the minimum IT involvement, this approach will help avoid breaking existing systems. “We were already in discussions with Blue Prism, and this helped speed up the procurement process," he said. O2 has already used the software to automate four processes – its SIM swap process; customer migrations to new deals; the process for unlocking phones; and ad hoc changes to billing for large corporate customers. There is more to come. “We procured to automate 10 processes. There is still space in the licence, and we will do more,” said Butterfield. The company is currently looking to automate tasks that are replicated, such as the internal business process of creating system IDs. Butterfield said the reason it chose the Blue Prism software was the fact that business people can use it through a desktop interface. The economics of self-service are too compelling to ignore, according to Forrester. In a recent study, the analyst company said enabling business functions to self-serve through the presentation layer provides the fastest and most secure means to quickly develop a new business capability. “Within a governance structure set up by IT, this approach offers a new dimension to the way in which business functions and IT can work together with a clear means of supporting each other. Forrester said there are many processes that can be automated but are being overlooked due to the tendency for businesses to look at bigger processes. “Many organisations simply don’t know how much improvement opportunity they’re missing. Traditionally, firms have focused on the big rocks in the garden while ignoring all the weeds that choke growth,” said Forrester. As well as O2, Blue Prism's customer list includes the Co-operative Banking Group, Shop Direct, RWE npower, Fidelity Investments, the NHS and Experian.